What can I say? I’m a sucker for interesting computer games Steam sells at steep discount prices. 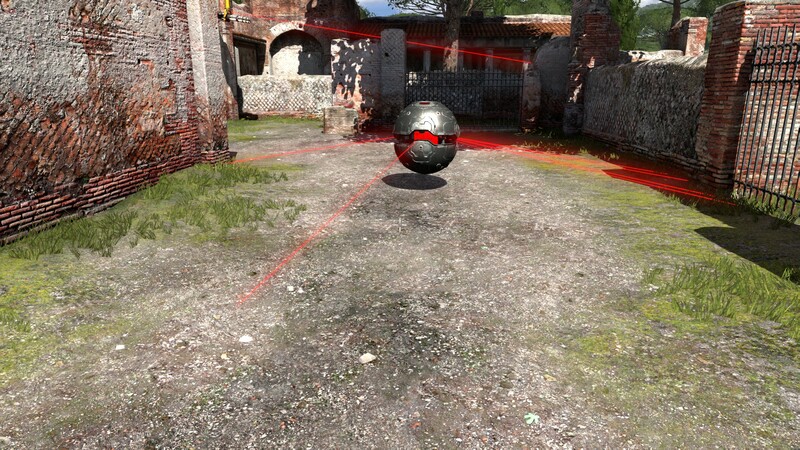 The Talos Principle, at 75% off last week, fit the description perfectly. Thanks, Ilk of Various Classifications, for the recommendation! 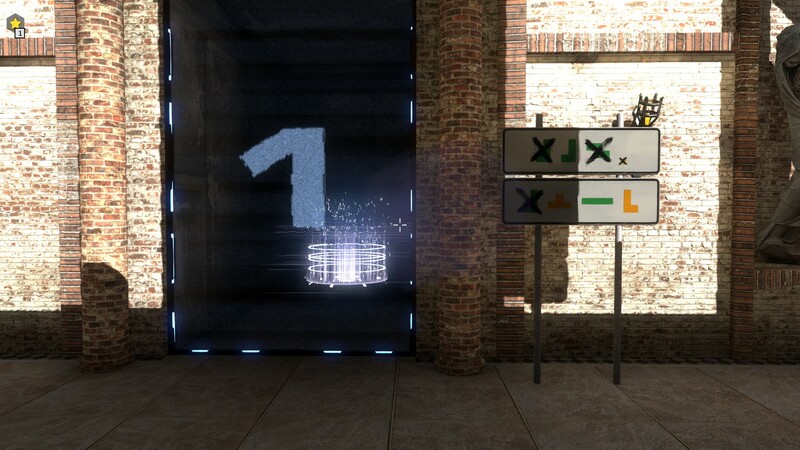 At face value, it is a puzzle-solving maze game with much akin to Portal and Portal 2. Glyph and I enjoyed those immensely, so after twenty minutes of Talos game play Steam got my money a second time and Glyph got a surprise Valentine present. Three-day weekends were made for obsessions like this, and we didn’t squander President’s Day doing silly things like writing, eating, or sleeping. We agreed not to look up answers on the web. In fact, if you are serious about playing the game you should avoid spoilers of any kind. This review won’t tell you anything you don’t figure out in the first 10 minutes of game play. It’s not every day that God wakes you up, introduces himself as Elohim, tells you about the garden he has made for you, and sends you on a quest to seek him out. If you’ve experienced that you should probably skip this post and find a mountaintop guru for spiritual advice. Conveniently, we can find Elohim by collecting Tetris-like pieces in puzzle-locked mazes. The mazes end up being recursive. I can’t elaborate further lest spoilers be spilled. Navigation is easy. Signs show you what you have and have not collected within each area of the world, and generally point the way to these pieces. Collect them in any order you wish. Once you’ve collected a piece it is yours. Signs show pieces you have and pieces you need in this area of the world. Easy peasy! Puzzle solutions are open-ended. Switching to a different major area, dying, or intentionally resetting a maze will reset progress in your current major area. You are free to wander about and leave mazes in their current state as you look around for secret stuff. 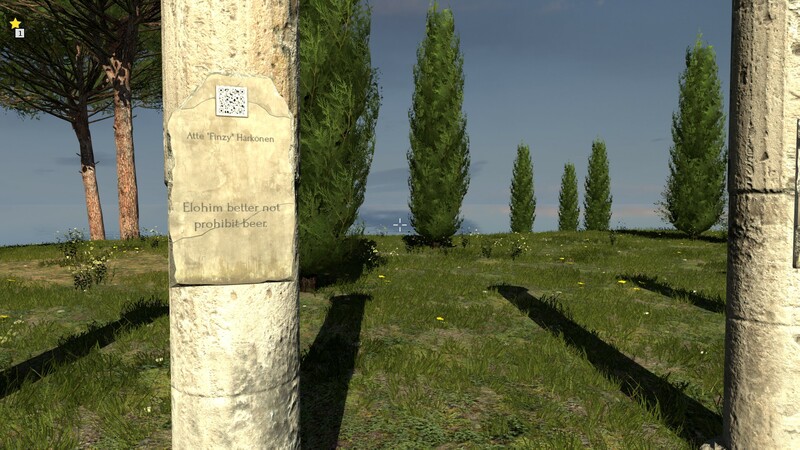 The Talos Principle has droves of secret stuff. You really want to collect glowing stars to access mysterious parts of the world. They are cleverly hidden. Many Easter Eggs are scattered about just for fun. The environment is beautiful. You’ll spend time just wandering around to enjoy the scenery, and quickly discover you are not the first person to be awakened by Elohim and tasked to find him. Others have left messages, written on the walls around the place, and you’ll be able to leave messages of your own. If you are playing on Steam, these can appear in the games of people on your Friends list. The first time Glyph discovered a message I had written on the walls of my game inside her game, we were both impressively freaked out. We show our faith in Elohim by dying. Repeatedly. The game does a fantastic job of introducing you to basic game concepts. For example, this patrolling mine will basically kill you if you get too close. Some of the puzzles seem downright trivial, but they introduce a new technique you have to learn to solve more advanced mazes. If you get stuck in a puzzle for too long, Elohim will encourage you to move on. You should listen to him; it will seem easier once you’ve done a few of the more basic puzzles. I skipped ahead to area 6, which turns out wasn’t the best plan, and got yelled at by Elohim a bunch of times. Whatever. I enjoy exercising the illusion of free will. My, I can hear you thinking, that is an unusual turn of phrase to mention in a game review. This, my readers, is because the real magic of the game is the philosophical challenges it will present to you. You’ll quickly discover some kind of catastrophe has occurred in the world. Perhaps it was aliens harvesting the pituitary juices of living creatures, perhaps it was because [Insert Name of Disastrous Presidential Nominee Here] got elected, you won’t know, and might never know, but you will find out that Scientists were put in charge of finding a solution. Yeah. So you’ve woken up in a robot body. Or possibly gotten the worlds worst manicure. Change the camera view (H) to find out! Definitely robot hands. I hope. Are you still human? Were you downloaded and undergoing some kind of adaptation process? Are you a robot? An Artificial Intelligence? Or is the whole world an illusion? A simulation? Is Elohim really God? Are you still entitled to rights? Do you have free will? Do any of us? 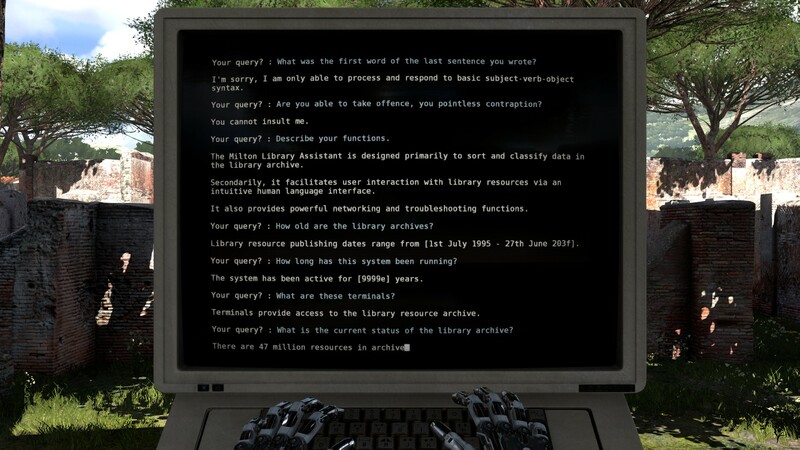 You’ll go on a compelling journey to find the answers to all these questions and more as the story unfolds via documents, stories, and pictures found on computer terminals scattered throughout the world. Some are well-hidden. In addition, one of the scientists has somehow left glowing memories which will automatically play when you step through them. Both Elohim and a living AI will challenge you to prove that you are, in fact, a living being. 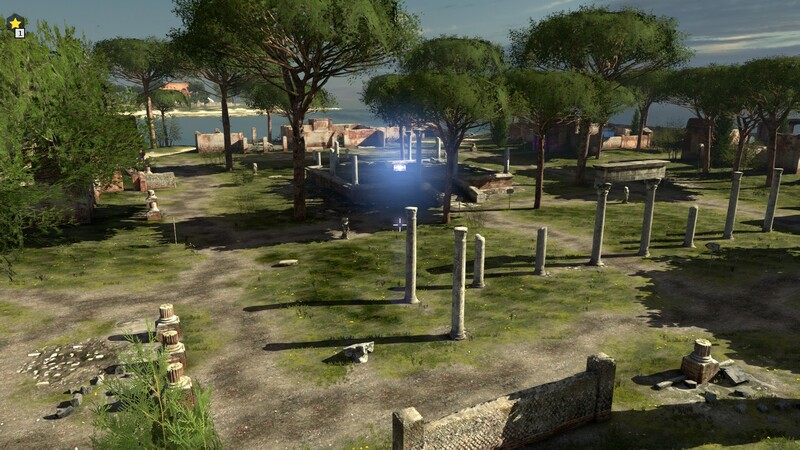 The storytelling in The Talos Principle is masterful. We’ve had hours of interesting discussions simply on the philosophical and religious implications of it. About halfway through the game, I thought of two or three ways the game could end. Frankly, none of them were that compelling. The way it unfolded, all three came true, but you seriously have to think about all that The Talos Principle has demanded that you do as a player to see it. It will leave you with a wonderfully sad and haunted feeling for the world’s end, but a hopefully optimistic feeling for the worlds future. At least it did for me, and I’ve been reliably informed that I am somewhat jaded. I mean, have you read Tempest in a Teardrop comics? Talos, eh? I like puzzles. You’ll like the game then. Except when you are hating it. Some of the puzzles are maddening until you spot the solution and whack yourself upside the head – duh!